Attendance at Comic Con in San Diego is on my bucket list. I am a huge Outlander and Game of Thrones fan having read all the books in both series, and I do often enjoy the fantasy genre. As a result I have for many years kept up with the events at Comic Con from afar. Long ago I ran across this picture in a feed of the year’s funniest photos. That was so very long ago that I cannot even remember the year, but I do recall the story that went with the image. A photographer snapped a picture of these characters as they traveled from their hotel to a Comic Con type event. 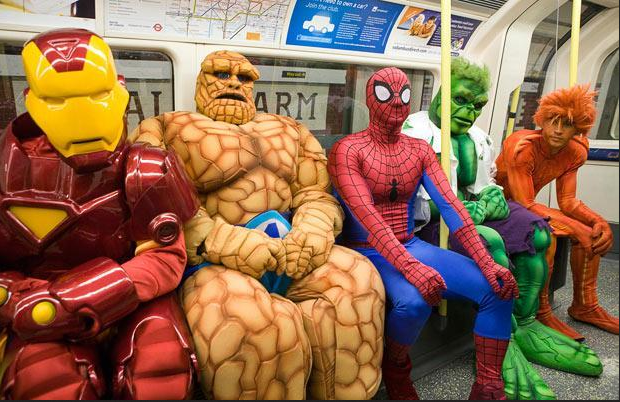 What a funny sight it would have been to see five superheroes in full regalia riding on a subway train! I have always thought that a good caption for this photograph would be: Even superheroes have to go to work. I laughed at this image, as most people do when they see it for the first time, and the thought that immediately popped into my mind is that these particular superheroes rode the train with everyday folks on their morning commute. They definitely stood out among all the commuters on the way to work, and they were recognizable at a glance because they were in their unique superhero attire. Wearing colorful, out-of-the-ordinary comic book character clothing on a subway will get you noticed. My next thought was, “What about all the superheroes that walk among us everyday who are not wearing their spandex, masks, or weird hair? Do we notice them, or are they invisible to us sort of like Clark Kent is to the staff of the Daily Planet?” I have always thought that the staff at the Daily Planet must be terribly naïve or have their heads high in the clouds not to recognize the fact that Superman was right there behind those thick horn-rimmed glasses. I pray that as educators we are not as unobservant as the staff at the Daily Planet. I hope we can see the superheroes that walk our halls even though they are not wearing a big “S” or some other logo emblazoned across their chests. I hope that as educators we can recognize their incredible acts of heroism for which they usually want little to no attention. I also hope we praise their kind spirit and acknowledge them for who they really are and what they do. These superheroes in disguise do so much in service to students that the general public will likely never know. Here are just a few of the superheroes I have known over the course of my career. I know a team of teachers that kept a food pantry (paid for out of their own personal funds) in their classrooms for two siblings who were too proud to apply for free and reduced lunch as high school students, but too poor to purchase their lunch at the school each day. I know a teacher who helped a high school student whose family moved while she was at school and left no forwarding address. The student went home to find an eviction notice on the door and the apartment cleaned out. She turned to a person she knew would quiet her tears and help her to a safe place- one of her teachers, who assisted her in getting to a homeless shelter so that she could finish out her senior year. I know a school that collected money from the faculty to buy a suit for a young man who had a full-scholarship interview, but did not even own a winter coat much less a suit. They bought him a suit. He got the scholarship, and he is the first in his family to go to college. 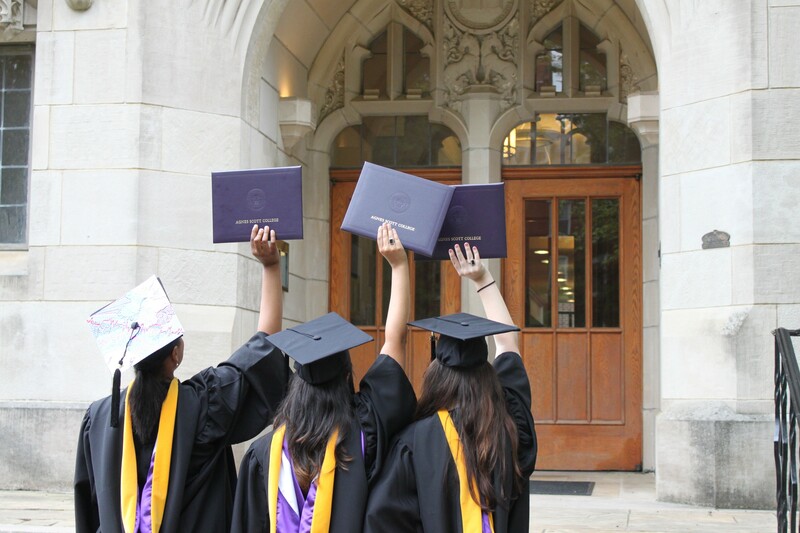 He went with room, board and tuition fully paid. I could go on and on. I have hundreds of stories that are examples of selfless acts on the part of teachers, principals, and school staff to help those students who need us most. Educators like these are the real superheroes in the world, and they walk the halls of the schools in this country every day.